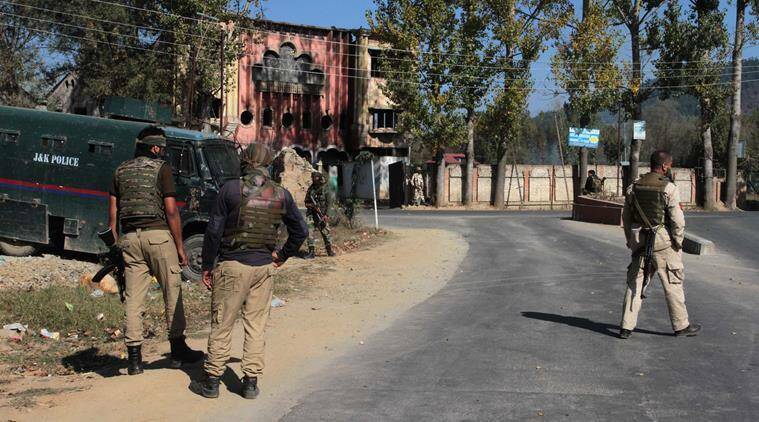 THE FIRST phase of local body polls in J&K, being held after 13 years amid calls for a boycott from militants, presented a stark contrast in voting patterns Monday with the Jammu region recording a turnout of nearly 70 per cent while the Valley logged just 8.2 per cent. 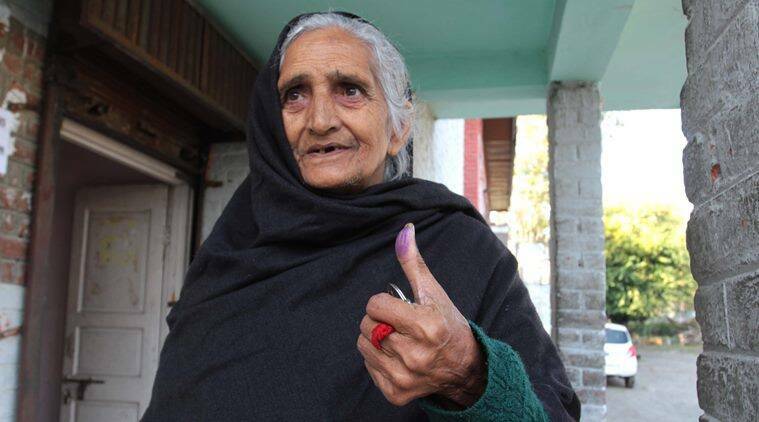 The first of the four-phase polls saw voting in 17 cities and towns in the border districts of Jammu, Rajouri and Poonch, and eight districts of the Kashmir division, including Leh and Kargil and three wards of Srinagar. The Kashmir division recorded an overall turnout of 18.6 per cent. Apart from threats by militants, the two major local political parties, National Conference (NC) and Peoples Democratic Party (PDP), stayed away from the polls, leaving the BJP, the Congress, Sajad Lone’s Peoples’ Conference and Independents in the fray. In Jammu district, the highest turnout of 89 per cent was witnessed in Jourian, followed by Gho Manasa (86.21), Bishnah (85.44), Khour (82.13), R S Pura (80.14), Akhnoor (80.49), Arnia (80.16) and Jammu Municipal Corporation (61.92). Rajouri district’s Thanamandi, which was once a hotbed of militancy, registered the highest voting percentage of 90.23. This area falls on the Mughal Road connecting Poonch and Rajouri districts to the Valley. The second highest voting percentage in the first phase here, 89.63, was registered in Sunderbani, followed by Kalakote (86.25), Nowshera (86.01) and Rajouri (74.41). 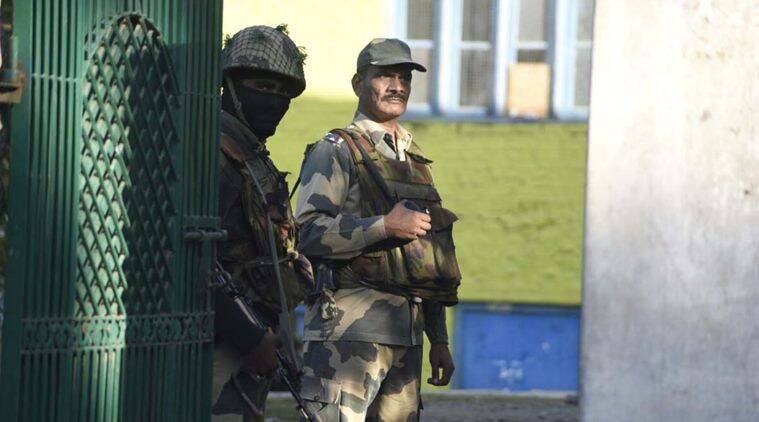 In adjoining Poonch district, Surankote, which also witnessed militant activity in the past, registered 89 per cent polling. In Poonch town, the turnout was 71 per cent. In the Valley, however, no vote was cast in 92 of the 149 wards that went to polls in this phase. In 69 wards, candidates were elected unopposed. There was no candidate in 23 wards. The poll percentage in this region is expected to dip further in the three subsequent phases scheduled for October 10, 13 and 16, where voting will be held for municipal bodies in south Kashmir and the volatile regions of north Kashmir. According to district-wise figures in the Valley compiled by election officials, 7.3 per cent votes were cast in south Kashmir’s Anantnag, where only four of the 13 wards of Kokernag Municipality witnessed voting. At ward number 9 of Kokernag, only the two candidates came to vote — even their families didn’t turn up. “Most of our issues are taken care of by the local legislator. We have come out to vote for local issues. It is difficult to have access to the legislator every time. He (the candidate) is from our village and will be answerable to us all the time,” said a voter in Kokernag, who requested anonymity. 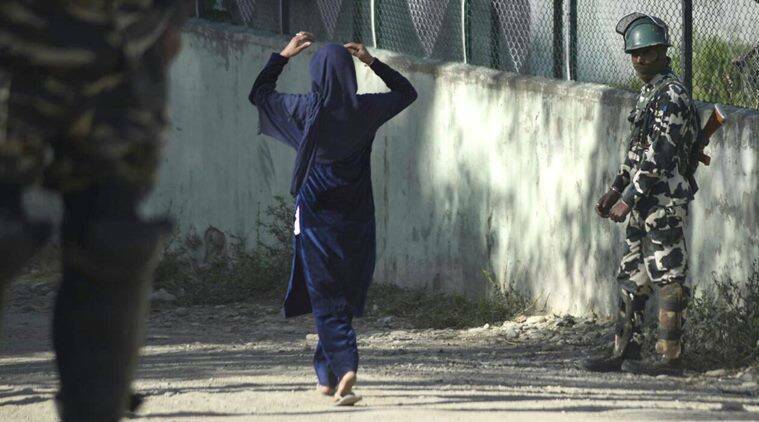 In Budgam municipality of central Kashmir, the voting percentage was recorded at 17 per cent. In the 13 wards of Budgam, candidates were elected unopposed in nine wards while there was no candidate in three wards. Votes were cast in only one ward. In Bandipore district of north Kashmir, 3.4 per cent votes were cast in the 16 out of 17 municipal wards while one candidate was elected unopposed. In Baramulla Municipal Council, only 1,336 votes were polled out of the 26,149 registered voters, taking the poll percentage to 5.1 per cent. Most of the polling stations at Baramulla were deserted. By 1.30 pm, no vote was cast at the Janbazpora A polling booth, which has 580 registered voters. In the adjacent polling booth of Janbazpora B, only one vote out of 1,097 was cast by afternoon. In contrast, Kupwara and Handwara municipal committees in Kupwara district recorded a turnout of 32.3 per cent. At the Boys’ Higher Secondary School in Handwara, 129 out of 445 votes were polled by 11.30 am at polling booth No. 3. In the adjacent booth, only 55 votes out of 852 were polled by then. Handwara is the stronghold of Peoples’ Conference, led by Sajad Lone, a BJP ally. In the three municipal wards of the Srinagar Municipal Corporation, officials recorded a turnout of 6.2 per cent.